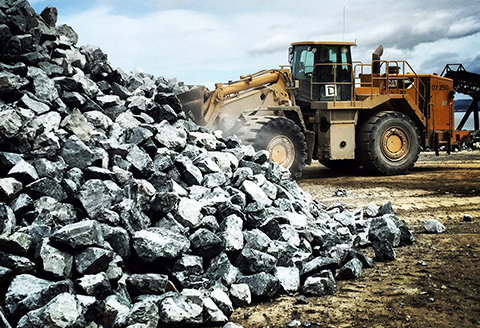 Dutra’s rock quarry supplies aggregate and building materials to complete a variety of projects, from improving a sports field or business parking lot, to larger projects like shoreline restoration or highway repair. Dutra Materials’ water-side barge-loading equipment makes it the most cost-effective transporter of quality aggregate in the region. From levee repair projects along the Sacramento Delta, to sporting fields and playgrounds for Bay Area schools, our clients range from civil contractors to small water districts and individual home owners. Dutra Materials’ Drain Rock is of a clean, hard, and durable nature. Meets all specifications of Section 68 of the 2015 CA Department of Transportation Standard Specifications. As required by Section 68-2.02F the material shall consist of hard, durable, clean sand, gravel or crushed stone, and shall be free from organic matter and other deleterious substances. Meets all specifications of Section 68 of the 2015 CA Department of Transportation Standard Specifications. As required by Section 68-1.025 the material shall consist of hard, durable, clean sand, gravel or crushed stone, and shall be free from organic matter and other deleterious substances. NOTE: All third-party sampling of aggregate for the purpose of specification compliance shall be performed in accordance with California Test Method 125. Testing of these materials for compliance purposes shall be done in accordance with applicable California Department of Transportation test methods and practices.